It’s hard to get back up from a downfall. 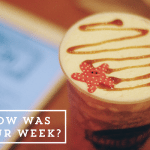 Last year was a tough one for me and my blog suffered because of that. I talked a little about this on Twitter but everything ultimately came down to how I lost my motivation and passion. Books, however, never fail to uplift me. They were the reason I started this blog in the first place. Now, books are the reason I’m renewing my passion for book blogging and making exciting new changes. Yes, Stay Bookish began as a way to help me hold on to my love for books. But it also gradually became a way for others to discover and indulge their love for books. This blog has been one of my biggest achievements in life and I’m proud to say I reached 300k views on the blog at the end of 2016! Having achieved this milestone, I finally feel ready to open the blog’s doors to fellow book nerds who wish to contribute to the book community through this platform. After all, success isn’t worth anything until you share it. When I say I want to expand the blog, I don’t mean I want to get more followers or make the blog some kind of ‘big’ hit. What I mean is I want to grow a community, one that nurtures love for books. I want to develop this blog into one that gives readers a place where they belong. If I can, I want to provide a safe space for book lovers, where diversity is valued and appreciated. 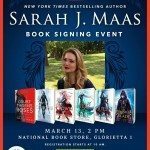 I want to boost underrepresented voices and allow them a platform to reach out to other bookish people as I have through this blog. 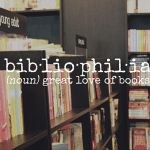 While it’s been an honor, laying the foundations of this blog, I think it’s time to welcome other book nerds who are willing to take on the same mission I’ve always had: spread the love for books. 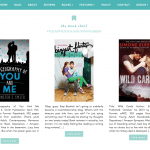 I once had this idea to create an e-magazine focusing on YA lit. Despite the time that has passed since then (a year and a half to be exact), this has continued to be a dream project of mine. A good number of people showed interest back when I pitched the idea, and while I wasn’t equipped to execute this project back then, I hope now that I am, especially after attending Phil Young Star’s e-zine workshop last year during The Philippine Reader and Writers Festival, just as many people will be on board with working with me to bring this e-zine to life. I’m looking to form two epic teams of bookish people, one to help me create the e-zine and another to blog with me on here. And I hope that you, yes you, will be interested in joining me. For the e-zine team, anyone who loves books can become a contributor! You can contribute features, articles, recommendations, photos, art, skills, or even your support for promotion. I would love to assign people definite positions too, should anyone be interested in staying on the team for several issues or for the long run. Here is the sign-up form if you’re ready to take part in this awesome e-zine project! 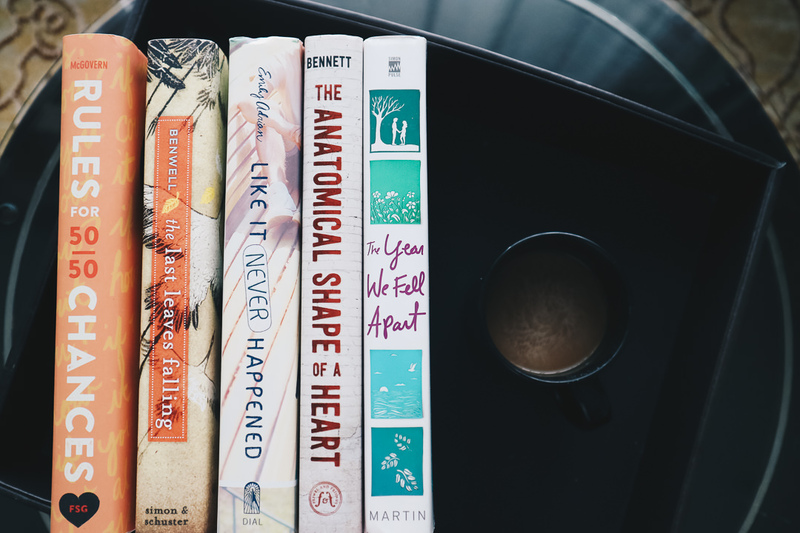 If you’re reading this and don’t have the time to work on an e-zine or a blog but do want to help me find members for my teams, do enter the giveaway below for a chance to win books! This is also my thank you giveaway for everyone who’s visited the blog and helped me reach 300k views. Your support means the world! When you fall down, what comes next is not just about getting back up. Sometimes it takes a leap of faith into trying exciting, scary, new things and reaching out to others that will help you rise, brighter and better than before. I can’t wait to see what 2017 has in store for Stay Bookish. What are your blog plans for this year? Will you be joining me here on the blog? What do you think of the YA e-zine project? Hi dear! Happy 300k blog views to you! That’s such a big milestone. I wish you all the best in finding the new members of your blog. Also, I’m really glad you’re pushing through the YA e-zine! I can vaguely remember the conversation we had about it and of course, I’d be happy to contribute! Have an awesome, 2017 and I hope to see you soon, Hazel! Last year was tough for me too but congrats to reaching 300k!! *hugs* and finally the e-zine is coming! Congrats on the 300k! That E-Zine is something I’m definitely interested in, however present plans (the one I told you through chat *wink*) hold me back! I’ll be a #SUPERStageFriend for it though! Will support and share it to the world <3 Can't wait to see what's in store for Stay Bookish. I am happy for your achievements! Here’s to more! Congrats 300K+ views, that is a crazy number. I’m amazed. And I love the idea of an e-zine for books. I know we have blogs to demonstrate our love for books and a place for everyone to talk about books but there are similar things for other hobbies so why not books. I cannot wait to see what comes from it. I would say I’d contribute but YA is such a small area of my reading and I’m not sure I’m the right person to help. That being said I would happily tell everyone I knew about it and I would be first in line to get reading so maybe I should be brave. i’m really interested in reading, and I would definitely love to do a piece or two for it! What cool books! Thank you for the contest! Congratulations, that’s a lot of views! What a great idea to do an e-zine, I’m looking forward to reading it, and reading the new contributors on your blog, the more positive discussions about books and diversity and just good things in the world the better. Congratulations on the 300K views that is awesome. I haven’t checked in on your blog in a long time but your plans for its future sound exciting. I am so excited about these new developments taking place on your blog, Hazel! The magazine sounds incredible and I know that loads of people would be interested to be a part of of it in some way. How fun that you’re starting your own zine! Sounds like a fun new direction for you and it’s great that you’re launching ahead. It’s one thing to have an idea and another to bring it to life, so go you! Hope you get great interest and find people you mesh with well. Good luck with it all! I literally just found your blog and OMG I’M SO GLAD I DID. Firstly, IT IS SOOO PRETTY. I was just obsessing over your design and colours and…. And SECONDLY, I love how exciting everything is especially your blog posts. LIKE OMG. And Thirdly, a GIVEAWAY!!!!!! Can I just celebrate? Good luck on your e-zine, Hazel!! I love YA literature, so I think it’s a great idea! Looking forward to reading it :D :D And congratulations on 300k views!